I have a love for handprint crafts. I think that they’re a lot of fun to do with kids, especially when you do the same ones year after year because you can see just how much your child has grown. Now that Squeaker is becoming more willing to participate in craft time, I’ve tried out a few crafts with her. We made a handprint and pom pom apple tree earlier this month and now we’re moving on to pumpkin themed crafts. For this one, I also tried out a cornstarch based dough instead of a salt dough and I was really pleased with how it turned out. 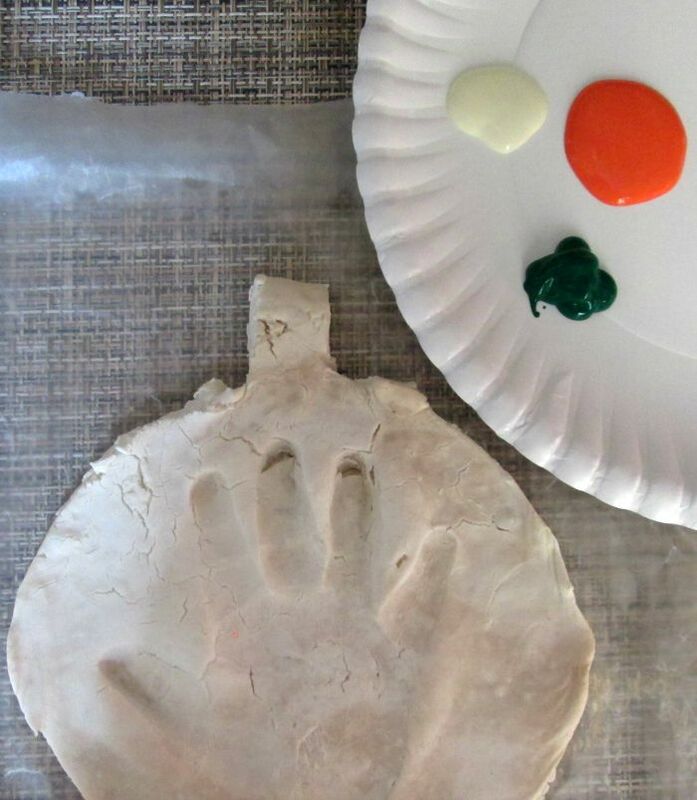 I hope that you and your children will enjoy making this handprint keepsake pumpkin craft as much as we did! Depending on the age of your child, they might be able to do most or all of these steps by themselves. You know your child best, so use your best judgement. With Squeaker still being a toddler, I did most of the prep and painting. First, let’s get that cornstarch dough ready! 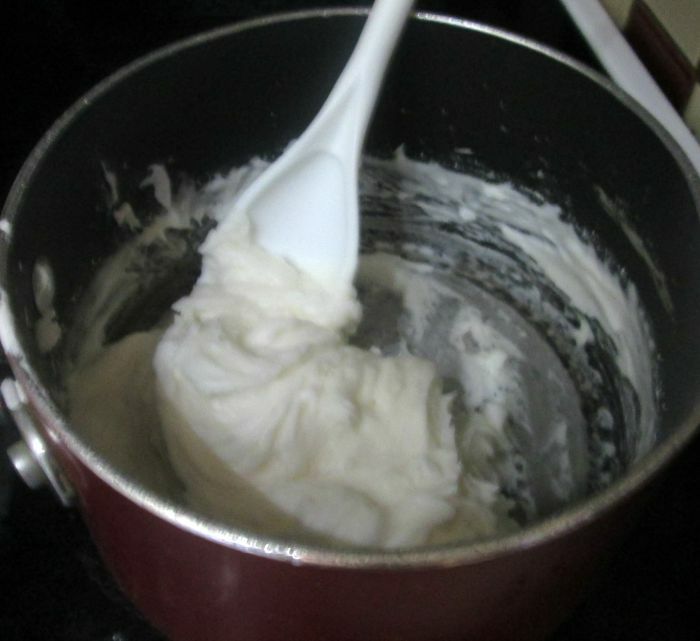 Combine all ingredients in a medium sized pan, stirring until the cornstarch and baking soda have been mixed in. Put on stove over low to medium heat, and stir constantly. 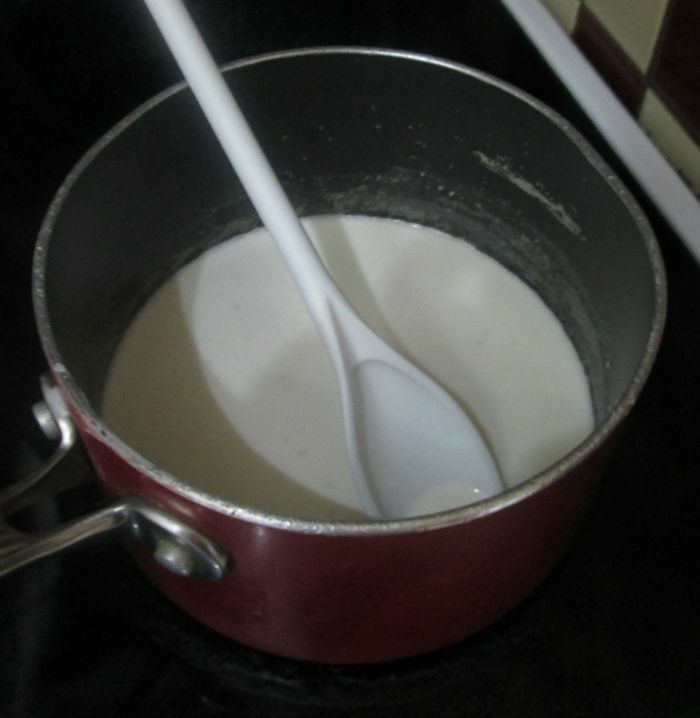 At this point, the mixture will still be very liquidy, but don’t worry- that will thicken up nicely. This dough is very easy to manipulate and roll out. The overall texture is soft and smooth so we may just use this for playdough in the future. The fingerprint indent on the top was a bit too deep but it still turned out okay. Just be mindful of this and if necessary, print again. 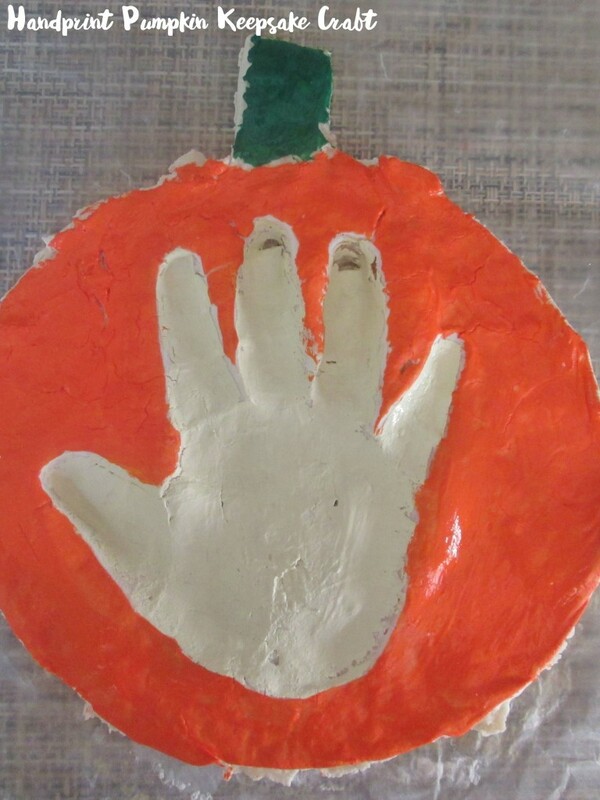 Once you are satisfied with the handprint placement, cut out a pumpkin shape around the handprint. I used a regular table knife so nothing sharp. At this point you can let your creation dry overnight or bake. I will definitely be trying the overnight drying method next time as it leaves the project with that smooth, white finish. But, if you do decide to bake, be advised that it will brown slightly and it may crack. With this one, we did bake it at 325 degrees for 10 minutes. Still, not too bad with the surface 🙂 Or at least nothing that a little paint can’t hide. I used green for the stem, orange for the overall pumpkin, and filled in the handprint with an off-white. While painting the handprint isn’t necessary, I felt that it did make the overall finish pop a little bit. If you’d like to hang this up for display, use a straw to poke a hole in the stem area before drying or baking. To make an apple instead, use red or green paint instead of orange for the overall part and green or brown paint for the stem. 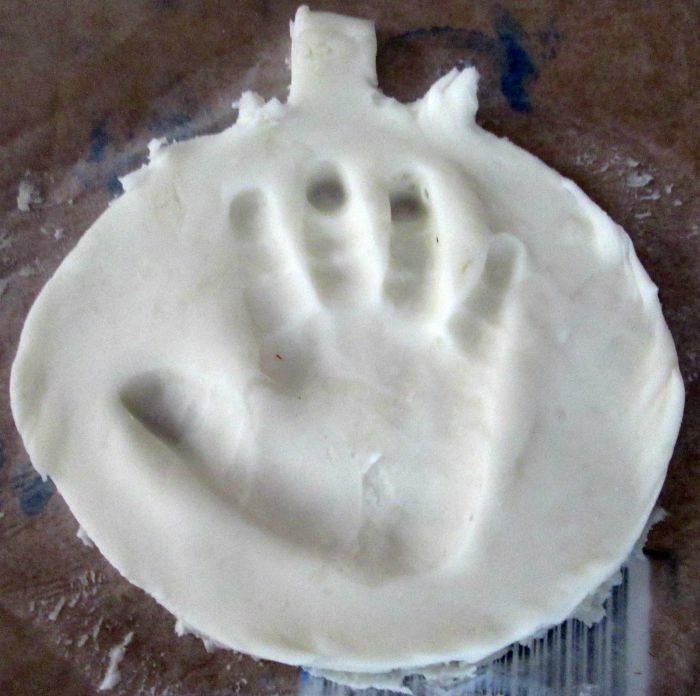 I look forward to making this handprint keepsake pumpkin with Squeaker next year to see the difference in her hand size. « What Does Being Frugal Mean? I love this. It is amazing. This is such a cute idea! 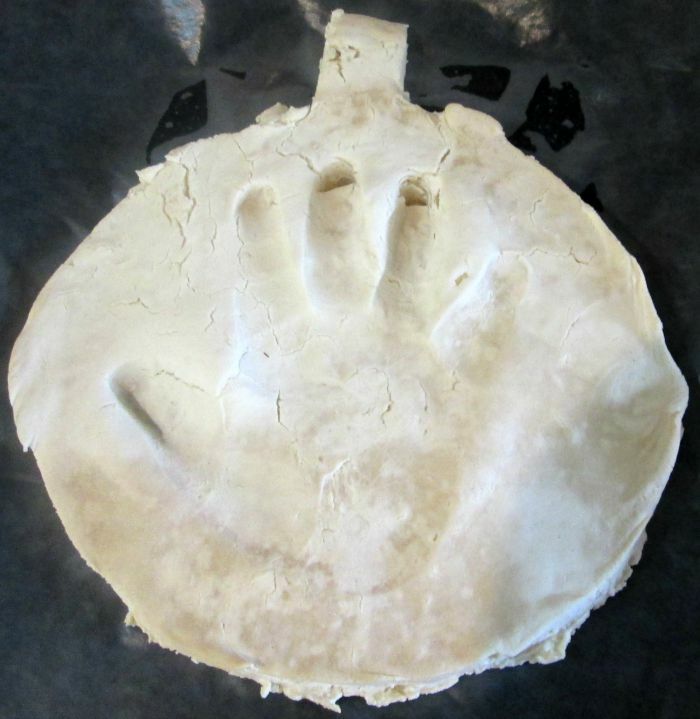 My son is 16 months old, and I was thinking that it would be fun to do some sort of hand-print craft with him. I love this! I’ve pinned it for later! Sweet 😀 We had a lot of fun with this. Definitely doing this With my toddlers!! Thanks! Can’t wait to see how it turns out! I think we’ll be using cornstarch dough for all of our future crafty projects. What a sweet idea! I can’t wait to try out…although my 12 (almost 13!) year old’s hands are bigger than mine! (That will be a big pumpkin!) Wonderful way to preserve their youth! 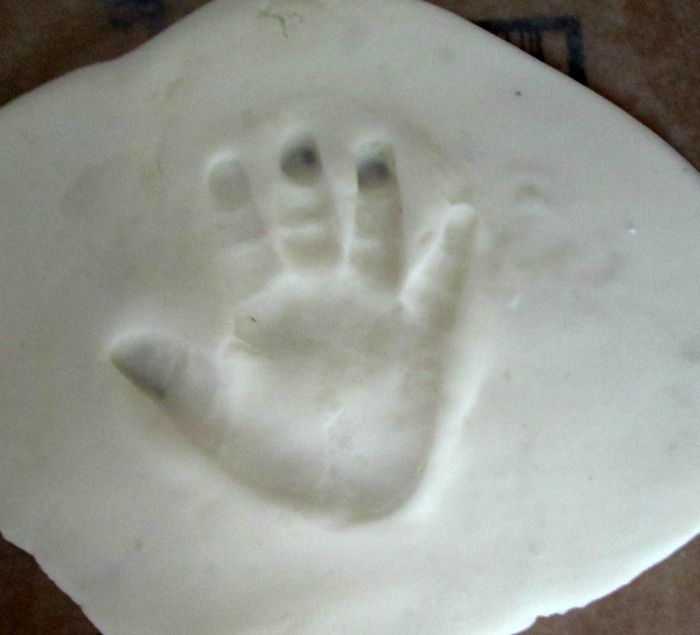 I love hand print keepsake crafts! 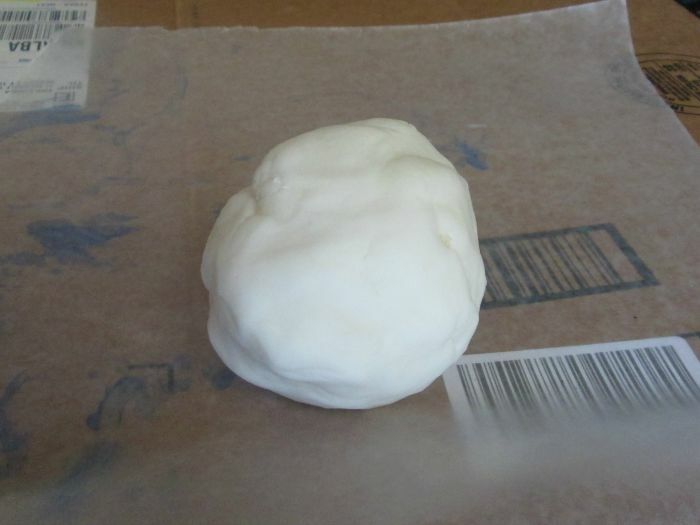 I have never tried making keepsake ornaments with cornstarch. Will have to try this recipe the next we make them. I would love for you to come by Made for Kids link party and link this up! I love handprint crafts, too! These are adorable.